Hey There .... rosigrl! : bunnies... and a flower! Hello! I'm back with more bunnies and a flower! 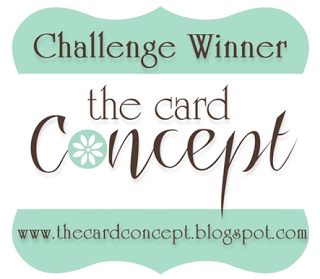 The first card has the bunnies on it and is for the MFT sketch challenge. 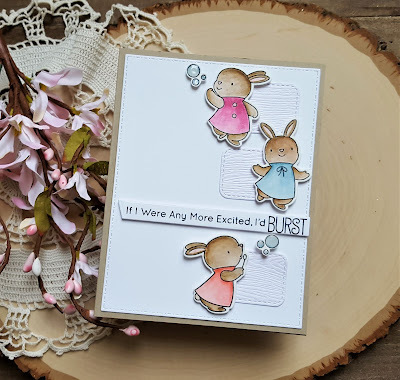 Just like the other bunnies from the Bubble Over with Joy stamp set these were colored with distress markers and die cut with their matching dies. Per the sketch I used the smallest die in the Inside Out Stitched Rounded rectangles die set to die cut my rectangles from Tim Holtz distress woodgrain cardstock. 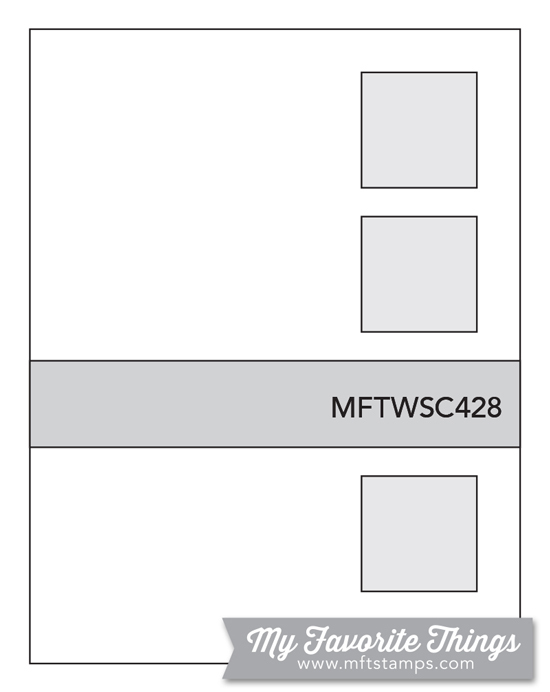 A piece of white cardstock was die cut with the largest AJVD Stitched Dot rectangle die and then all the little rectangles were adhered to it. I then positioned all the bunnies to make sure I had the right about of room for my sentiment that I stamped on white cardstock with VersaFine CLAIR Nocturne ink and then die cut with a die from the MFT Slanted Sentiments Strips die set. That was adhered and then I added the little bubbles that I colored with a Broken China distress marker and then covered with Glossy Accents for some shine. 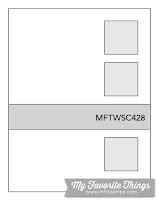 I adhered the panel to a kraft cardstock base. I was a little worried that the cards would look too plain, but in the end I think it turned out perfect! 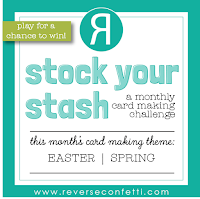 The second card features the flower and is for the Reverse Confetti Stock Your Stash challenge to make a spring or Easter themed card. This one is spring themed. 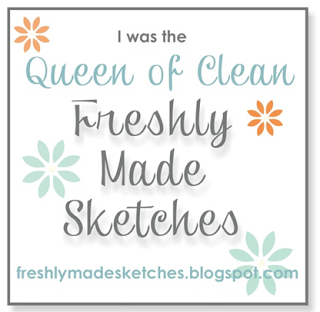 I used the sketch from Sunday Stamps so I will be adding it to their gallery. My friend Greta often plays along with the challenges at Retro Rubber and this month she is a guest designer! 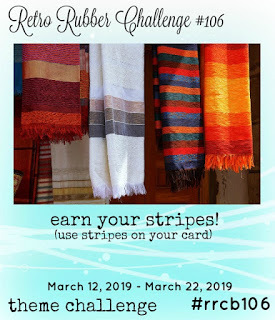 I have never played along, but since Greta is the guest designer I'm adding this card to their challenge to use stripes. 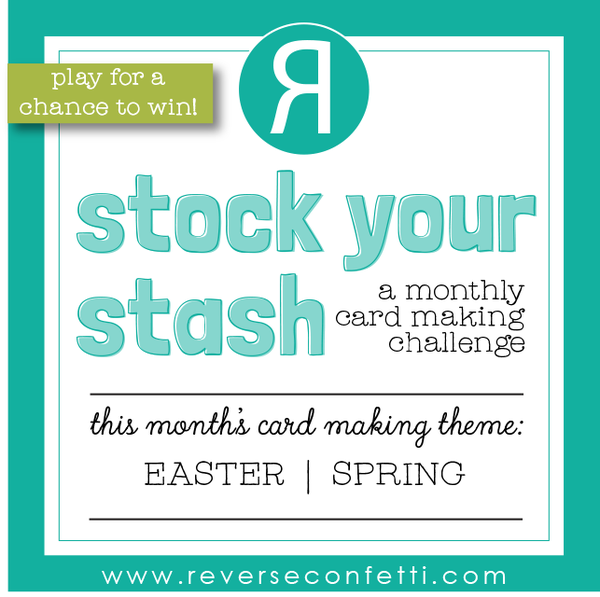 The Reverse Confetti set I'm using is just over a year old so it makes the cut for their challenge. I stamped the flower and the leafy images from the RC Tall Blooms set on smooth bristol and colored the images with ZIG clean color makers and a bit of water. Once dry they were die cut with the matching dies. I die cut the RC Tall Stripe Panel Confetti Cut from Tim Holtz distress woodgrain cardstock and adhered it to some dark pink cardstock that I die cut with the AJVD stitched dot rectangle die. The flowers were then adhered to the tall stripe panel. I die cut the RC Confetti Cut hello die from black cardstock three time, adhered them together and then adhered to the panel. The panel was adhered to my card base and then I added the dark pink twine bow to finish things off. Thanks for stopping by... have a wonderful day! Those bunnies are as sweet as they cane be, what a darling card! And your second is bright and happy. Another fabulous pair Rosemary! I love your bright bouquet with its sweet twine tie. It looks so fabulous against the striped panel. Black, white and a strong pink is always such an elegant combination. Thank you for joining in with us at Retro Rubber Challenge. Oh so happy you're playing at Retro Rubber, my friend! I don't get to vote on the winner, so I can say how much I adore that card--one of my favorites! I've only used that RC set once, but you've inspired me to ink it up! 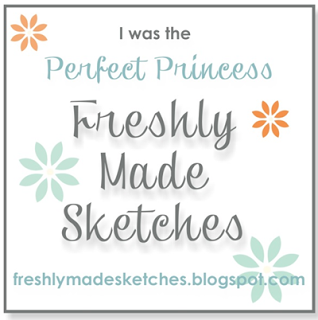 The bunny card is adorable & such a fun use of the sketch! So super cute - that pink is so cheery, and I love the banded cutouts in the texture! Your flower is just beautiful! Thanks so much for playing at Sunday Stamps! 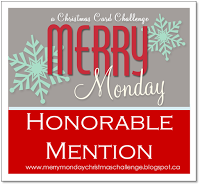 Beautiful cards, Rosemary! I love those sweet bunnies with the soft colors. The hello card is so vibrant and lovely! Two pretty cards! Both cards are wonderful...the bunnies one is so sweet and soft, and your Retro Rubber one is bold and beautiful! 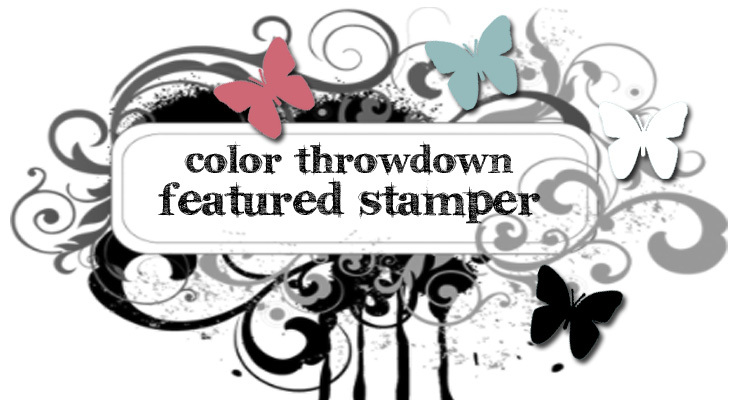 That flower looks amazing against that wonderful die and the colors are stellar! Thanks for playing with us this week! 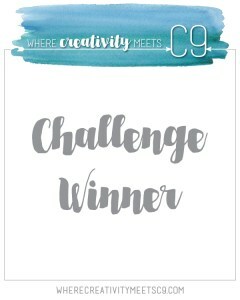 and the card using my sketch wooow I love that stripes and the texture of your card the flower colored so wonderfully..love Hello sentiment too...good luck with your entry Rosi.. 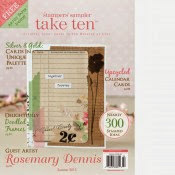 Many thanks for using my sketch on our 200th Birthday Callenge at Sunday Stamps. Lovely cards! 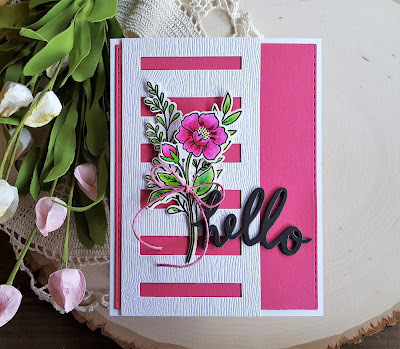 The pink really pops on the 2nd card and the "hello" in black is perfect! Thanks for joining our 200th challenge celebration at Sunday Stamps! Oh WOW!! what a gorgeous, bright and cheery card!!! 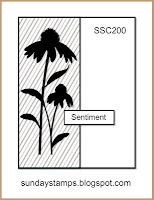 love the amazing pinks on your flower and your background, the die is the perfect accent along with the fab sentiment. Thank you for playing along with us at RETRO RUBBER. 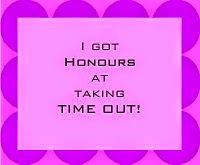 Hurrah! 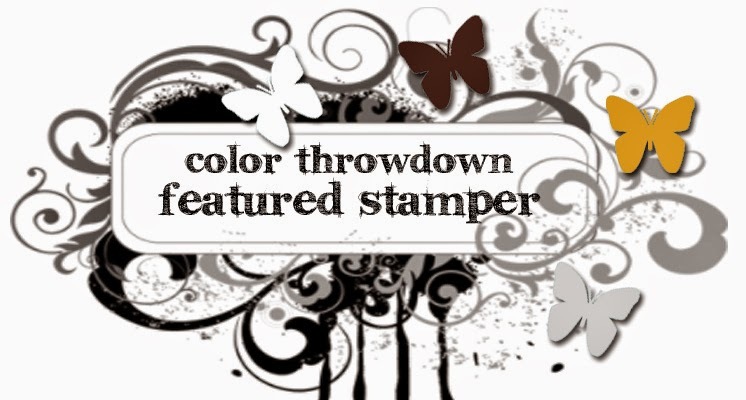 I love seeing that this gorgeous card was picked as a favorite at Retro Rubber, Rosemary! So well deserved! Hi Rosemary! Your bunnies are adorable and the flower in fuchsia is absolutely striking with that "hello" word die in black! Swoon!